Beautiful Silver Ring With Amethyst And White Topaz Size L - N12 - P - 3.2 Gr. 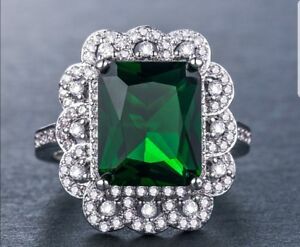 Details about Beautiful vintage look Emerald and White Topaz Silver Plated Ring Size L 1/2. Beautiful vintage look Emerald and White Topaz Silver Plated Ring Size L 1/2.